Cemex is paying us$86.36 million for Trinidad Cement Ltd and its three cement plants. PORT OF SPAIN – Mexican cement manufacturer Cemex is paying US$86.36 million for Trinidad Cement Ltd (TCL) and its three cement plants in Barbados, Jamaica and Trinidad and Tobago, the company has said. TCL in Jamaica is known as the Caribbean Cement Company Ltd while Sierra Trading (Sierra) is an indirect subsidiary of New York-listed Cemex. The company said its offer and takeover bid dated December 5, 2016, and amended January 9, 2017 was closed in Jamaica at 2 p.m. two Tuesdays ago. Thus, the total number of TCL shares tendered and accepted in response to the offer is 113,630,723 which, together with Sierra’s pre-existing shareholding in TCL (147,994,188 shares), represent approximately 69.83 per cent of the outstanding TCL shares, the statement said. 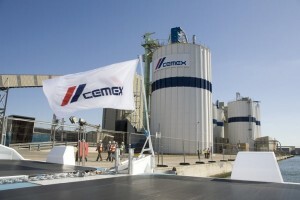 The acquisition makes Cemex the new largest cement maker and distributor in South and Central America and the Caribbean.